We handle Sale, Installation and Servicing of Superior Chlorinators in Pakistan. "Superior" Gas Chlorinators are designed for water & wastewater treatment needs of the current times. They are made of the most modern materials available that offer the ultimate in both chemical resistance and strength. These rugged and versatile units were designed by one of the chlorination industry's most experienced, creative minds. Only the most proven elements of existing technology were incorporated to solve the problems which have plagued other brands, most of which date back to the 1960's and 1970's. Attention to very small details has resulted in a SUPERIOR gas chlorinator that is a quantum leap ahead of its contemporaries. All of this much safer, as well as more economical to install and to operate than anything else on the market. Fewer parts and a "user friendly" design make Gas chlorinators extremely easy to maintain. Titanium & Teflon contact parts ensure long life without corrosion. 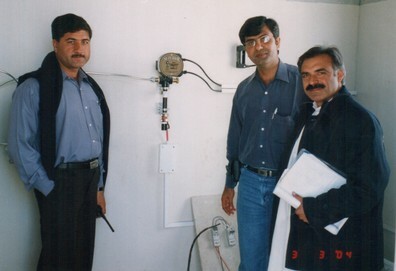 Installations in Pakistan Include high profile establishments including Ghazi Bhrotha Dam and NASCOM etc.